Little brown bat with white-nose syndrome, New York. Conservation advocates this week called for more action to save bats threatened by the rapid and deadly spread of white nose syndrome, a fungal disease that has wiped out entire populations of the flying mammals from the Northeast all the way to Midwest. The Center for Biological Diversity is asking the White House Council on Environmental Quality to direct federal land management agencies to control accesss to caves on public lands as a way to prevent further spread of the disease into the West. “The loss of bats to white-nose syndrome is an unprecedented natural disaster that will have real financial consequences for many Americans,” said Mollie Matteson, conservation advocate for the Center. “Not only do some bats species face extinction, but American farmers stand to lose an estimated $22 billion in lost insect-eating services that bats provide. This crisis is deepening by the day and it’s time for the highest reaches of our government to take action,” she said. A complete closure of caves probably won’t be popular with the caving community, which sees itself as an advocate for bat conservation, but without any known way to prevent or treat white nose syndrome, halting the spread is probably the only way to control the disease, and limiting access to caves with known bat population makes sense to conservation biologists. In just six years, white nose syndrome has spread from a single cave in New York to kill nearly 7 million bats in 19 states and four Canadian provinces. Closures and other restrictions could be effective because spores of the fungus that cause the disease, Geomyces destructans, are easily carried on the shoes, clothes or gear of any person visiting contaminated caves and is very likely being spread by people. According to the Center for Biological Diversity, evidence suggests the disease was recently and inadvertently introduced to North America by a cave visitor on both continents. Recognizing these realities, some agencies have enacted cave closures and decontamination procedures, but many have not, including most federal land management agencies in the West, where the disease has not yet spread and can still be prevented. This winter, surveys of hibernating bat populations showed that white-nose syndrome has spread to new areas in the Southeast and Midwest, showing up for the first time in Missouri, Alabama and Delaware and in more areas in Indiana, Kentucky and Ohio. Bats also transmit the fungus, but they are not capable of migrations longer than a few hundred miles. Concern about long-distance transport of the fungus by people has prompted calls by scientists, including those with the U.S. Fish and Wildlife Service and the U.S. Geological Survey, for restrictions on all but essential access to bat caves. In 2010, the Center petitioned federal agencies to enact comprehensive restrictions on nonessential human access to caves, but those restrictions have not been enacted in many areas. 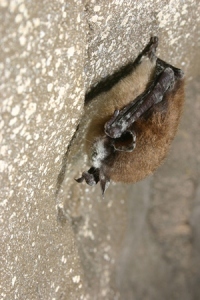 The Center is calling on President Barack Obama’s closest environmental leaders, housed at the Council on Environmental Quality, to bring federal agencies together to enact consistent bat cave restrictions on federal lands, require proper decontamination procedures for anyone entering caves, and initiate inventories of caves and bats on federal lands where little is presently known about them. Nine species of bat have been found with the white-nose fungus, and of these, six species have experienced mortality, several of them at rates approaching 100 percent in affected caves. Biologists fear that several bat species, including the once-common little brown bat, may soon become extinct. Scientists do not yet have an effective treatment; the only known way to contain the spread of white-nose is to reduce the risk of human transport of the fungus by closing caves to nonessential access and requiring decontamination procedures of those still entering caves. For more information, visit SaveOurBats.org.